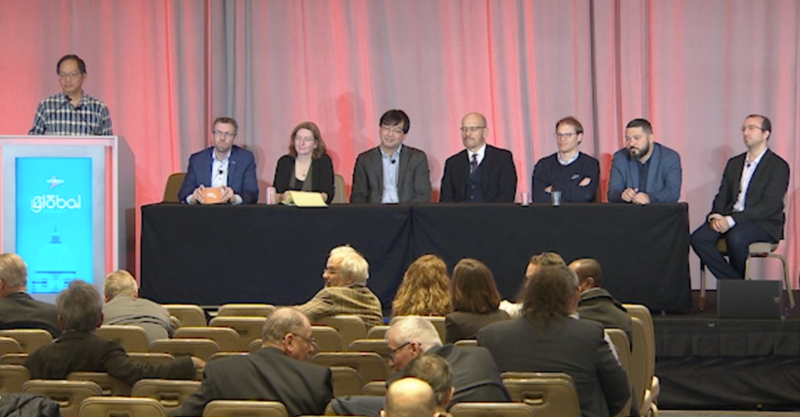 Highlights of the AmLight project were presented at Global 100G session at the Internet2 Global Sumit on March 7 along with projects from ANA-100G, GÉANT, RedCLARA/RNP, and SINET. The session highlighted breakthrough initiatives enabling the first 100G research and education network around the world, pushing for greater connectivity around the globe. Efforts stemming from the Global Network Architecture (GNA), GÉANT and RedCLARA’s BELLA project directly connecting Europe and Latin America, Japan’s SINET 100G project are enabling researchers across the globe to realize 100G connectivity. Dr. Julio Ibarra presented current status or regional network infrastructure and planned activities for continuing the building of express backbone and enhancing the resilience of the AmLight ExP project for 2019. The achievement of those goals will facilitate effective peering among academic networks and communities of interest in response to the network requirements from research communities and can succeed through cooperation and collaboration. For video presentation click here. For Dr. Julio Ibarra presentation click here.